Yale University has settled a wrongful death lawsuit filed by the family of Annie Le, a graduate student killed in a research lab days before her wedding in 2009. The case was resolved through mediation and the settlement terms weren't disclosed, according to a court document filed in Waterbury last week and obtained Tuesday by The Associated Press. Annie Le's strangled body was found stuffed in a wall at a Yale lab building on Sept. 13, 2009. The native of Placerville, California, was 24. 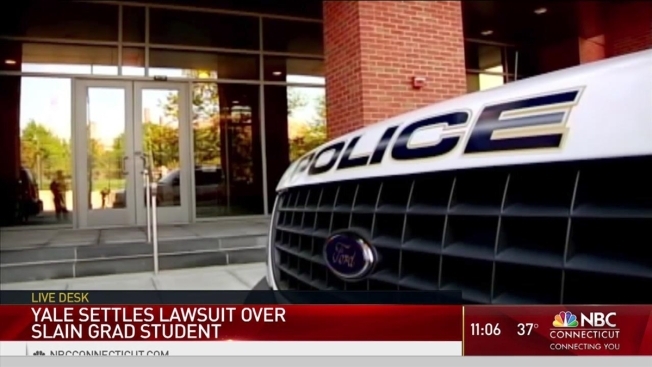 The lawsuit alleged Yale had failed to adequately protect women on campus for years. Yale officials denied the allegations. An animal research technician who worked in the building, Raymond Clark III, is serving a 44-year prison sentence for killing Le. Lawyers for both sides didn't immediately respond to messages the Associated Press left.